You tell yourself you can change careers soon or make more time for yourself and your family someday. But what if someday never comes? Click here to get your FREE chapter! In this thought-­provoking guide to creating the extraordinary life you’ve always wanted, leadership development expert Mike Jaffe will walk you through the five essential principles for rewriting your tomorrow. He makes it clear why it’s so important to climb out of that quicksand known as “things are fine” and creates a sense of urgency for you to fully own your path. He’ll challenge your perception of “the truth” and significantly expand the universe of what you believe is possible. In doing so, you’re going to WAKE UP parts of you that have been dormant, hiding, or playing too small to fully serve you. You’ll ultimately learn to persist through challenges until your ‘someday’ becomes today. Mike’s book is available for volume purchase. Contact us to find out more. Wake Up! 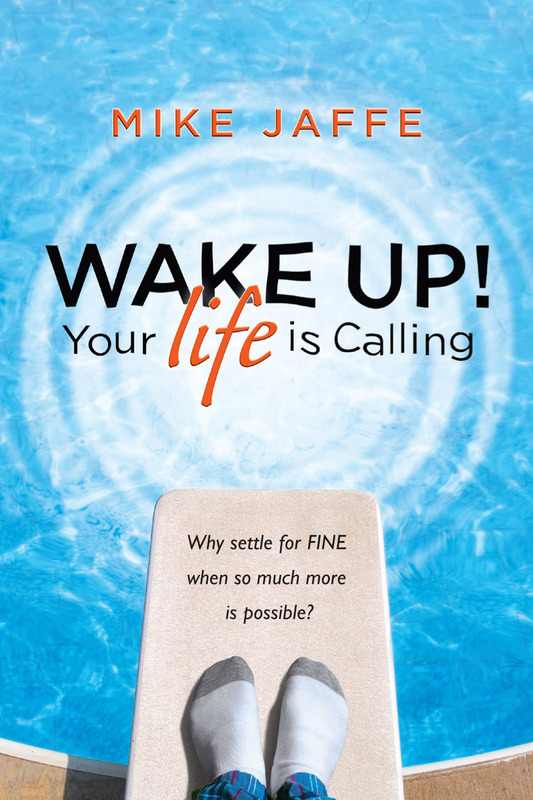 Your Life is Calling is a great read and a wonderful resource for those who want to start living and be the person they were meant to be. Change is not easy for anyone, and Mike’s tools for change make it doable and achievable for those who are ready to do something different in their lives. Wake Up! is the perfect kick in the pants and asks exactly the right questions to get you living your most fulfilling life today. Wake Up! is an exceptional book. It is a powerful call to action that resonates with ideas that are easily transferable to individuals and companies of any size. Jaffe provides powerful insight to guide the reader through the journey with personal accountability. An immensely enjoyable and valuable read for anyone seeking sage advice in navigating today’s rapidly changing world. A Gem! I’ve been a professional life coach for 15+ years. If I would write a book that summarizes what I find useful in order to find a life to love, this would pretty much be it. Read it and do it!